When you stay at Equa Reef Maldives in Feydhoo, you'll be in the historical district and within a 5-minute drive of Gan Beach. Featured amenities include a 24-hour business center, express check-in, and express check-out. A roundtrip airport shuttle is provided for a surcharge (available 24 hours). 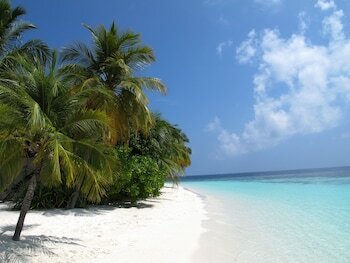 With a stay at Hotel Kaani Princess in Maafushi, you'll be just steps from Maafushi Harbor and Maafushi Mosque.